Behold! Mystery Project #2 is revealed. Anna gave us the go-head to share our project photos. I cast on for this guy a year ago (which is why the photo is kind of fuzzy—it was taken with my ancient Powershot) and am thrilled to have had a tiny role in the production of Anna’s book. I’ve made a lot of Mochimochi patterns and I expect to make many more. 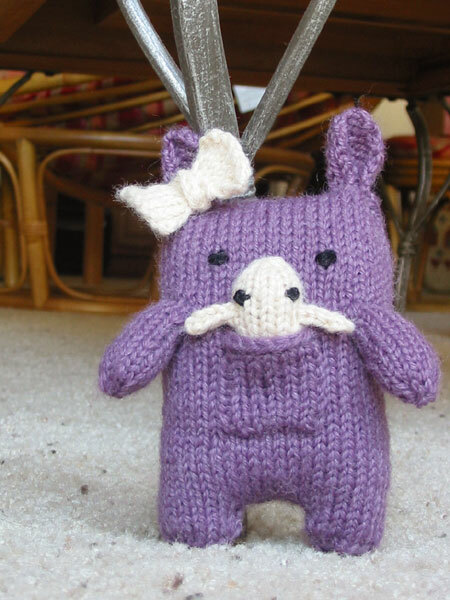 I am constantly in awe of how clever all her patterns are, and how fun they are to knit. 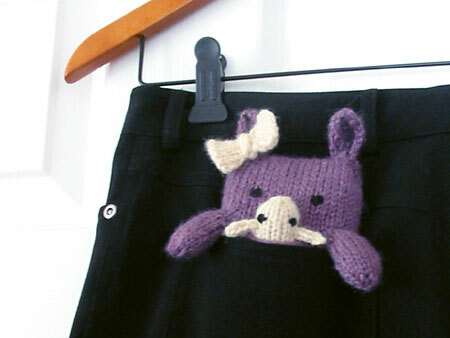 I pre-ordered Knitting Mochimochi as soon as it was listed on Amazon. You can see the Pocket Protector on the back cover. The bow on Mama Protector is my own invention, and I also turned the baby into a pencil. Alas, I lost the baby shortly after I knit it. He is surely knocking around our apartment somewhere, probably in some strange nook. I expect to find him when we move. In the meantime, Mama Protector is hanging out in my craft closet next to Weeeds. 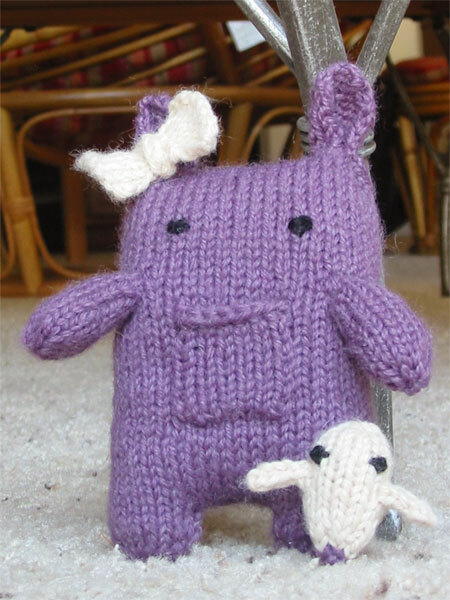 CogKnition posted this on May 30th, 2010 @ 10:08pm in Toys | Permalink to "Pocket Protectors"
Looks a lot like Daphne and Delilah the Momma and Baby Monster.